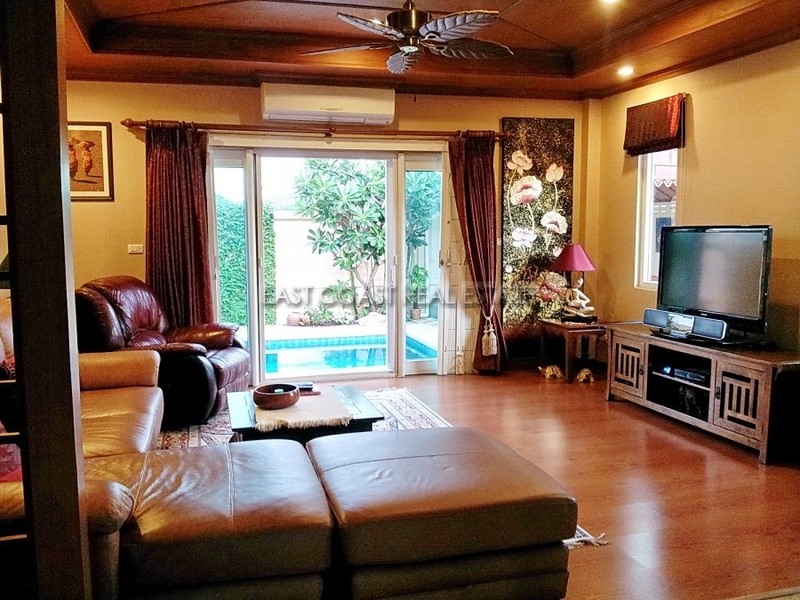 This Thai-Bali style pool villa is situated in an exclusive electric gated community in Soi Wat Boon of Jomtien. Located only 5 minutes from the popular Jomtien beach, Sukhumvit road and all local amenities. The home has a spacious living and dining area with views out towards the swimming pool and landscaped garden. The European kitchen is fully fitted and comes with hood, hob, oven, large fridge, and water purifying system. Plus a separate utility room with washing machine. The bedrooms are well sized with the master having it's own en-suite bathroom. All rooms are fully air conditioned and has hot water throughout. All doors and windows are UPVC. The swimming pool which is situated towards the rear of the property allows privacy with a covered patio to sit and relax. 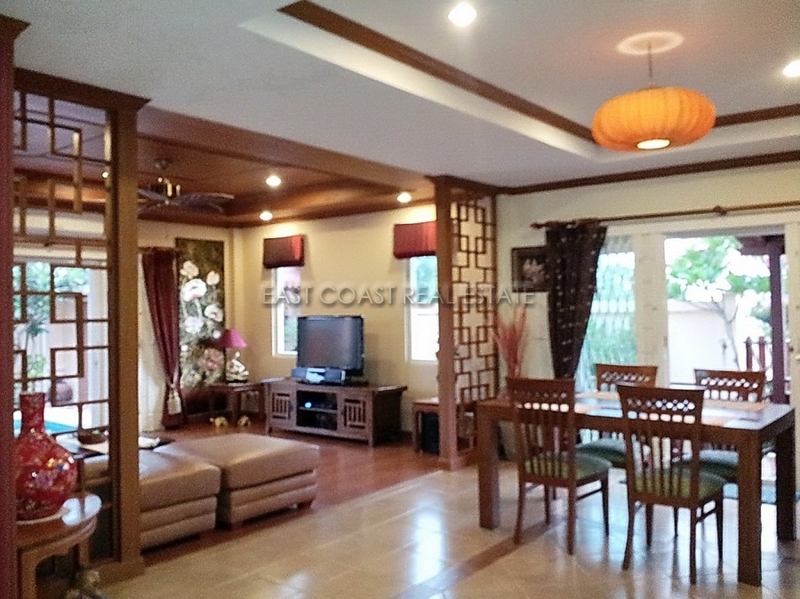 The house comes equipped with satellite TV, internet connection, CCTV, alarm system and remote control gate. 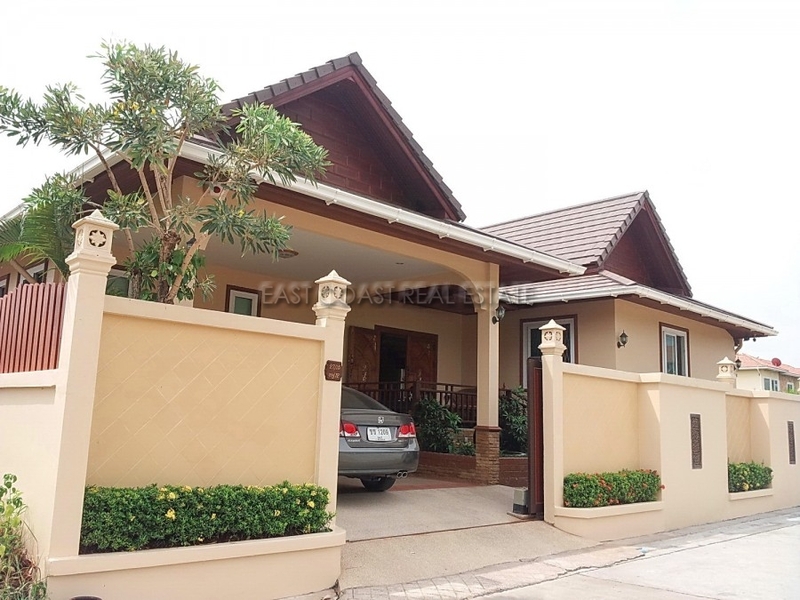 The house is available for sale fully furnished with title deed held under Thai name and taxes and transfer fees to be split 50/50.